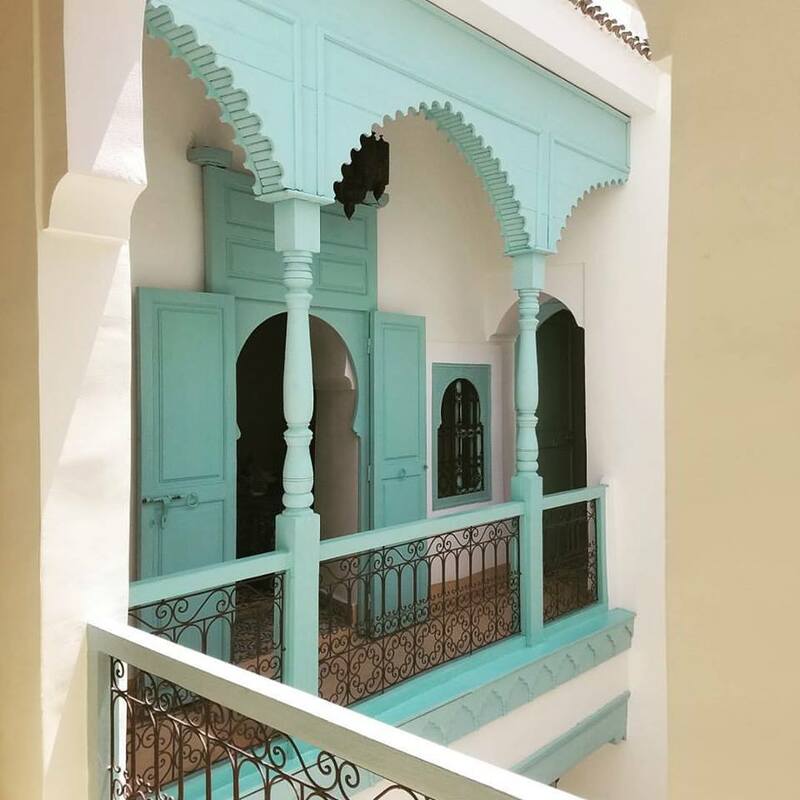 From Riad inspired living spaces, patterns, pillows, and rugs crafted into countless home décor essentials, you don’t have to look far to see the influence of Moroccan Design. 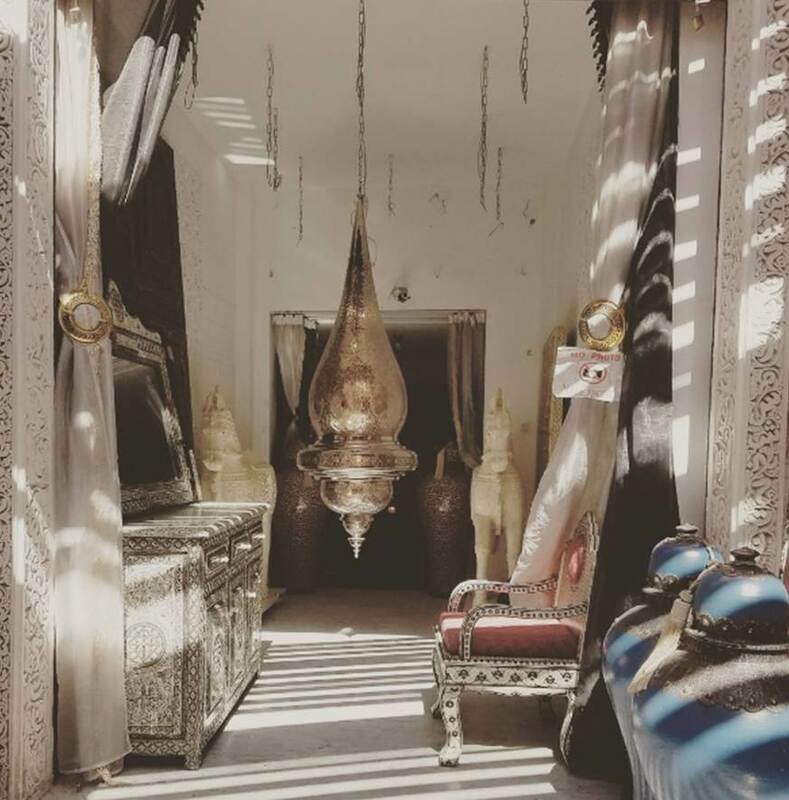 We will explore traditional and modern Moroccan design elements that will translate into your client spaces. This is a unique opportunity to meet like-minded designers with a love for global inspired décor. 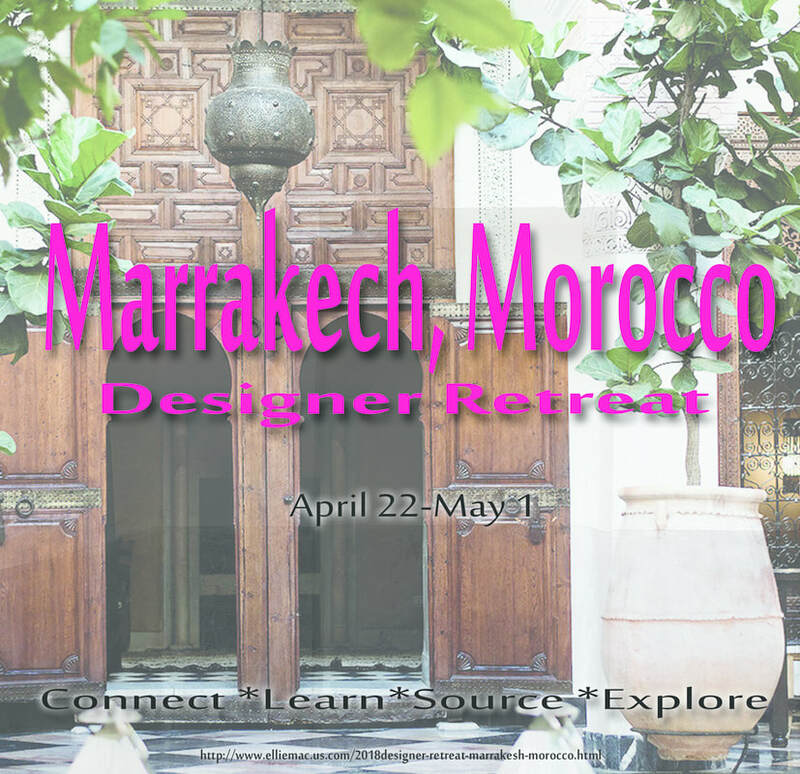 During this retreat designers will connect with the artisan design community and have the opportunity to source product selections for their clients. A first hand experience into global style for a global market . Plan to arrive in Marrakech for late morning/midday. Airport Transfer to Maison 28 will be provided. You will be welcomed with a glass of Atay (Moroccan Mint Tea) and you own personal pair of Maison 28 house slippers. After a little time to settle in we will head out to lunch at a local restaurant. Followed by a walking tour through the nearby souk markets for an introduction and orientation to our neighborhood in the medina. As the evening approaches we will gather for cocktail's and dinner Maison 28. After Breakfast at Maison we will head out for a day trip to the seaside city of Essaouira. After a stop to see goats in the Argan trees we’ll see how the women’s cooperatives turn the nuts of those trees into Argan oil. 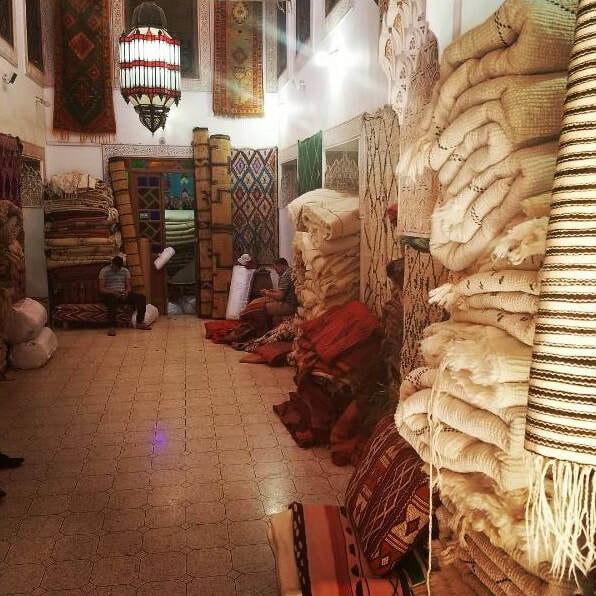 Once in Essaouira, you will have the opportunity to tour in some local boutiques and galleries. We will break for lunch and then you are free to explore the area and shop. We will end the day with a caravan camel ride/photo shoot and dinner on the beach. We will head out after breakfast to do a little treasure hunting at a Moroccan style flea market. Here you will find everything from carpets to vintage treasure. After lunch we will head back to Maison 28 for a little show and tell of the goodies we found. You will have the rest of the evening on your own to relax or head out into the souks. 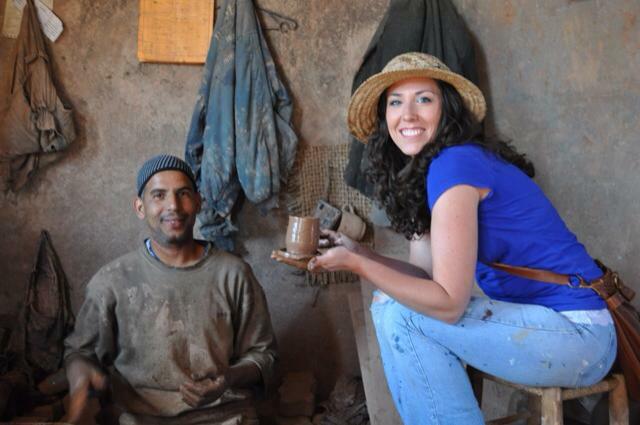 After breakfast at Maison 28 we will head out to the Blacksmith Souks and explore the art of Moroccan Metal work. 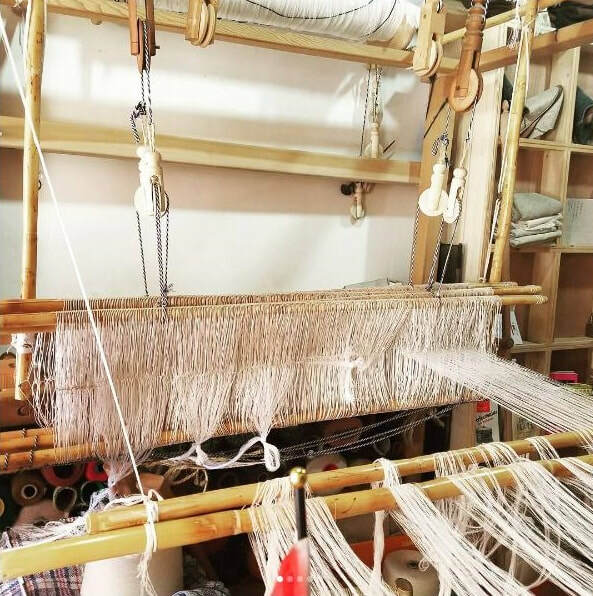 Here you will get a glimpse at everything from lighting to locks being hand crafted by local artisans. We will then explore some great places in the souks to by lighting. 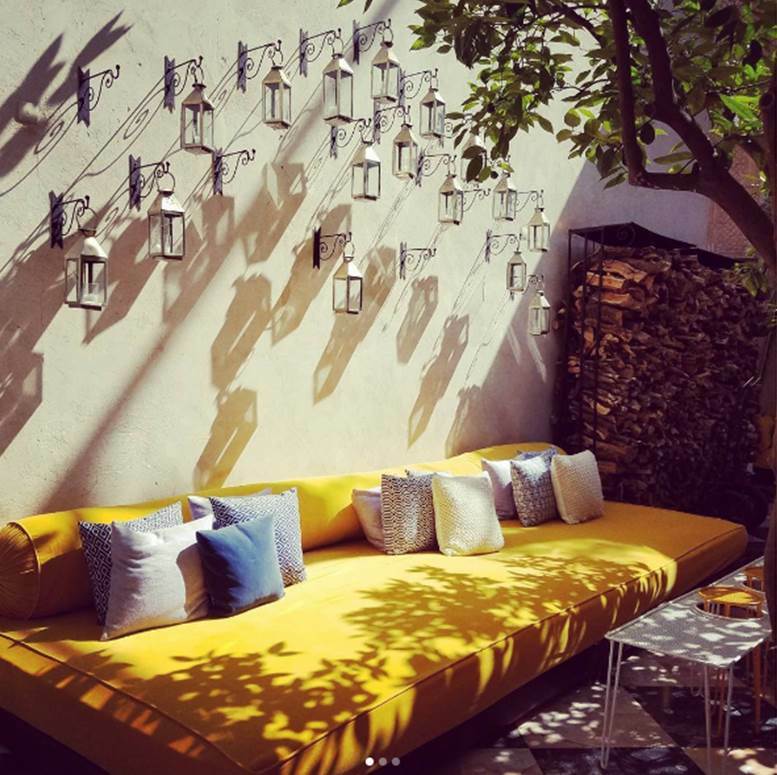 after a delicious rooftop lunch at Terrasse des Epices we will head out to explore a few Moroccan hardware shops. You will have a little time to explore around the areas we stop. As the evening approaches we will lead over to have dinner under the lemon trees at Limoni. Following Breakfast, we’ll head to Gueliz to explore Modern Moroccan design and enjoy lunch at a nearby restaurant. Then a visit to the famously enchanting Jardin Majorelle, designed by French painter Jacques Majorelle (created the famous Majorelle Blue color) and was later restored by designer Yves Saint Laurent. Then back to Maison 28 for a Dinner and Henna Party. A non-refundable deposit of $695 is required to reserve your space. The remaining balance will be due over 2 additional equal payments approximately 6 months and 3 months before the retreat day. You will be emailed an invoice for each payment 2 weeks prior to the due date. Your deposit and subsequent payments are a commitment and each payment becomes non-refundable at the time it is received. IF you are forced to cancel prior to 3 months before the start of the retreat and your reserved spot can be transferred to another person, we will refund any previous payments less the $695 deposit. No refunds or transfers will be available after your final payment. *By registering for this trip with your deposit, you agree to the above Cancellation Policy and to purchase your own trip insurance. Ellie is an Interior Designer and Textile Designer based out of North Carolina. She holds a BFA in Interior Architecture Design from The Rocky Mountain College of Art and Design in Denver, Colorado. Her work can be found throughout the United States and Morocco and often showcase her various creative specializations. Her diverse body of work incorporates global style, innovative design applications, and artistry. Her Moroccan textile collections express her love for Moroccan design and Arabic calligraphy. ​Travelers from the US only are required to have a valid US Passport – but it must NOT be due to expire within 6 months of your return flight. Your flight destination will be Marrakech Menara International Airport (RAK). Royal Air Maroc is the only airline that has direct flights from the US to Morocco, from both JFK and Washington Dulles. You can also book flights traveling through major European airports, as there are many connecting flights to Marrakech through economy airlines such as Ryan Air, Easyjet, Iberia, etc. We’ve found that it is easier to find good connecting flights on the way to Marrakech than on the return, but you can take the opportunity to end your trip with a day or two stop in Spain, France, Portugal, England…. Immunizations are not required or necessary but check here for CDC recommendations. ​Weather is predictably unpredictable so be sure to check on the estimated conditions the week before you travel. Even though Marrakech can be quite warm by day, it is usually quite cooler at night so pack light clothes that you can layer. We recommend cotton pants, long skirts, wraps or large scarves over tank and tee shirts, and a sweater or light jacket for chilly nights. Your most important fashion asset: comfortable shoes for traversing the Medina on sightseeing and shopping adventures! Morocco is a Muslim country and women generally dress more modestly than in the US or Europe. Maison 28 is located in a more conservative, residential area in the old Medina. Like elsewhere, dress codes are gradually becoming more lax and there is a lot of tolerance for tourists, but wearing clothing that covers your best “assets”, and that your grandmother would approve of, shows cultural respect, good taste, and common sense. The currency here is the Moroccan Dirham, and the exchange rate usually hovers these days around 10 Dirhams/1 Dollar. You CANNOT exchange for Dirhams outside of Morocco, but there are several currency exchange booths in the airport when you exit Passport Control and also located all around the Medina. Larger stores and restaurants may take Euros, but it’s really best to have dirhams. If you bring large bills ($100) to exchange be sure that they are newer bills with holograms. Otherwise they will slide them back to you with a shake of their head. Another good option for padding your wallet with dirhams is to use the ATM machines which are located around the medina. The exchange rate is a little better, especially if your bank or credit card doesn’t add foreign transaction fees (some homework for you). Be sure to notify your bank of your foreign travel destination so they don’t flag you for fraud. I also recommend that you bring 2 or 3 cards-just in case you still get flagged (happens!) and find too many things you just can’t live without. Ear Plugs – especially if you’re a light sleeper. Maison 28 is in a quiet neighborhood but there is local “wildlife”, i.e. Medina cats and a neighborhood rooster who sometimes like to make themselves heard. Also, the first call to prayer from the surrounding Mosques occurs about an hour before dawn.